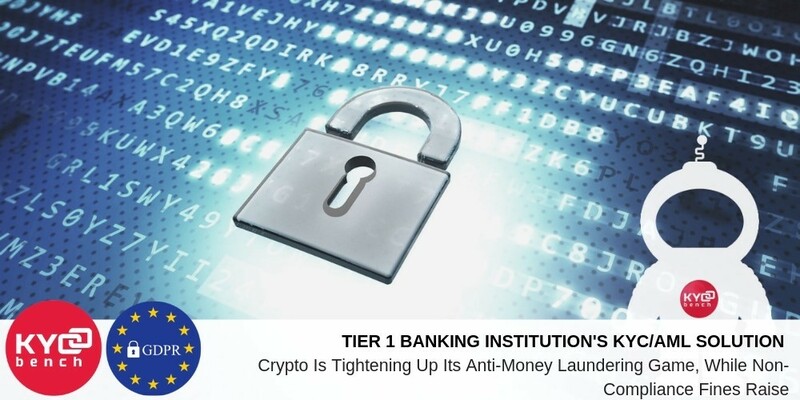 As reported by Reuters, when the U.S. Financial Industry Regulatory Authority (FINRA) imposed a $10 million fine on 26th of December 2018 for compliance failures in the firm’s anti-money laundering program, this penalty didn't actually go to a crypto exchange or crypto-related business. Instead, it went to Morgan Stanley, the 38th biggest bank in the world (and the 6st biggest in the U.S.). A deeper inspection of recent history reveals that the traditional financial world, in fact, has just as serious a problem with money laundering as crypto, if not a more serious problem. In November last year, the Reserve Bank of India (RBI) levelled a 30.10 million rupee fine (about $420,000) on Deutsche Bank, which had failed to observe Indian KYC and AML regulations. Also in November, French bank Société Générale agreed to foot a hefty $95 million bill in order to settle charges that it had contravened U.S. AML regulations, a bill which comprised an even bigger charge of $1.34 billion for breaking U.S. trade sanctions against the likes of Cuba, Iran and Libya. Moreover, in December, Latvia's financial regulator levied a 1.2 million euro charge on BlueOrange Bank for AML noncompliance, while FINRA fined Swiss bank UBS $5 million for similar violations. And back in August, China's central bank, the People's Bank of China, fined five financial institutions anywhere from $100,000 to $250,000 each for falling foul of AML laws, including Ping An Bank, Shanghai Pudong Development Bank and the Bank of Communications, accordingly to Cointelegraph. While the cryptocurrency industry is rapidly tightening up its own codes and conduct, crypto exchanges are increasingly observing Know Your Customer (KYC) and AML regulations and new trade bodies are being established with the aim of erecting self-regulatory guidelines for the crypto industry to follow. And industry aimed to become a fully legitimate and secure feature of the global economic landscape.